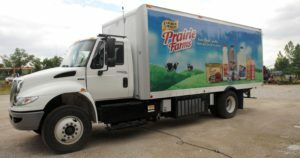 LAKE SUCCESS, N.Y. – December 03, 2018 — Transervice Logistics, Inc., a leading provider of customized transportation solutions, has been selected by Prairie Farms Dairy, Inc., one of the largest and most successful dairy cooperatives in the Midwest, to provide on-site dedicated contract maintenance at the company’s milk bottling plant in Somerset, KY. The facility is currently undergoing a $5 million, 6,000 sq. ft. expansion in the plant’s bottling and receiving areas.